If you’ve read much of this blog, especially my early posts, you know that I am a strong believer in keeping a low profile. Remember, we are trying to survive; so the best way to win a fight is to avoid it altogether. If society falls apart, there will be predators. There will be people who are predatory by nature, and there will be otherwise good citizens who didn’t prepare and think that what is yours should also be theirs. If you do not give it freely, they think they have the right to take it. After all, somebody else has always taken care of them. Number three brings me to the topic of this post, blackout curtains. 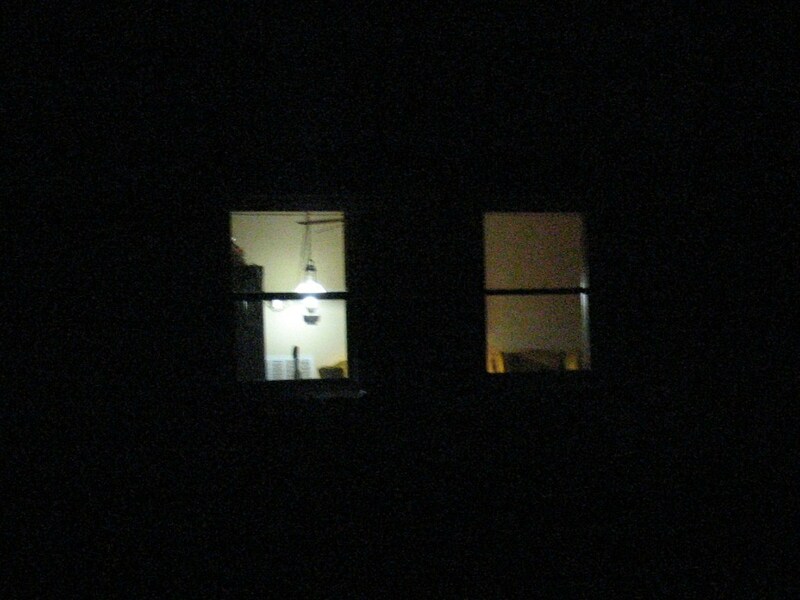 Even an oil lamp emits light, and on a dark night you can see this light from miles away. If you are going to have lights you need to cover your windows so that the light doesn’t serve as a signal beacon to raiders. We have regular curtains on our windows, but these are practically useless for blackout purposes. 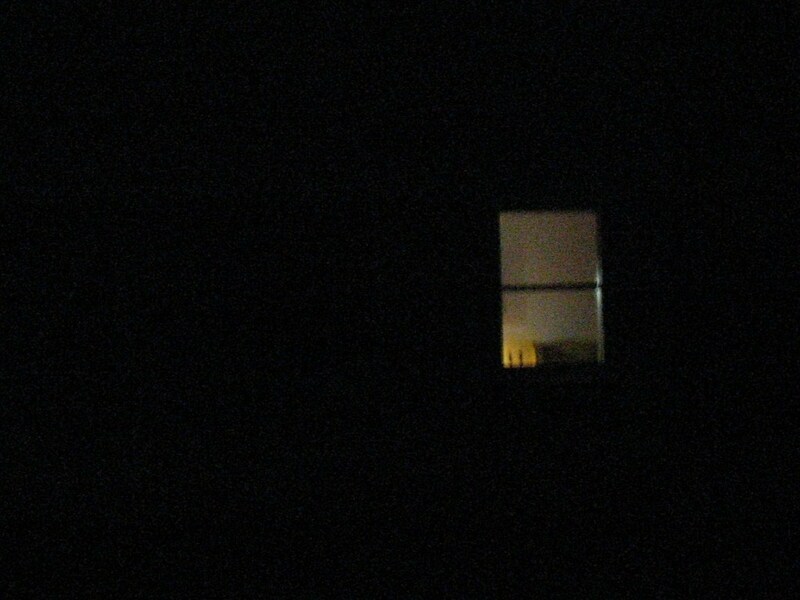 You can still see a nice warm glow of light coming from the windows at night. 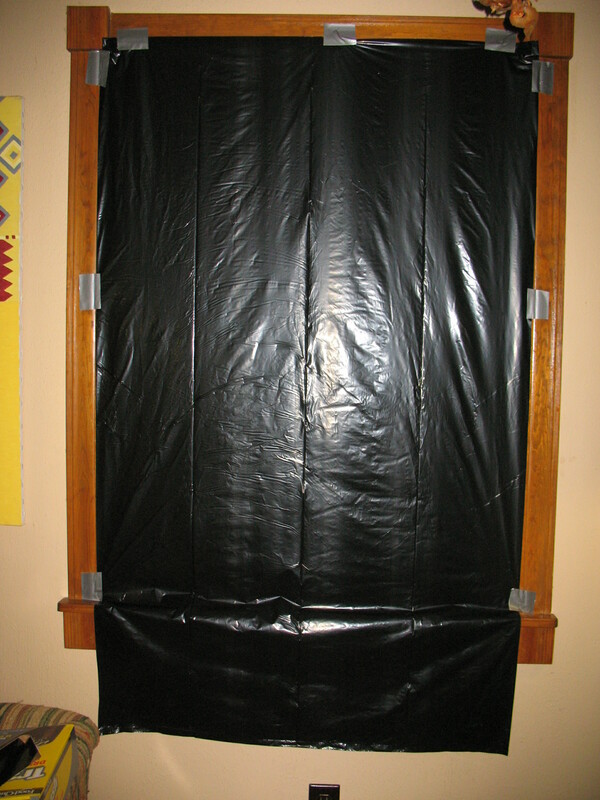 You need a completely opaque covering that fits close to the window frame so that no light leaks out around the edges. My idea was to install some nice opaque, black, roller blinds; the kind that schools used to have in the “film room.” My wife shot that idea down pretty quick. Seems that when my sense of survival preparedness comes up against her sense of style, style wins. So I came up with an alternative. 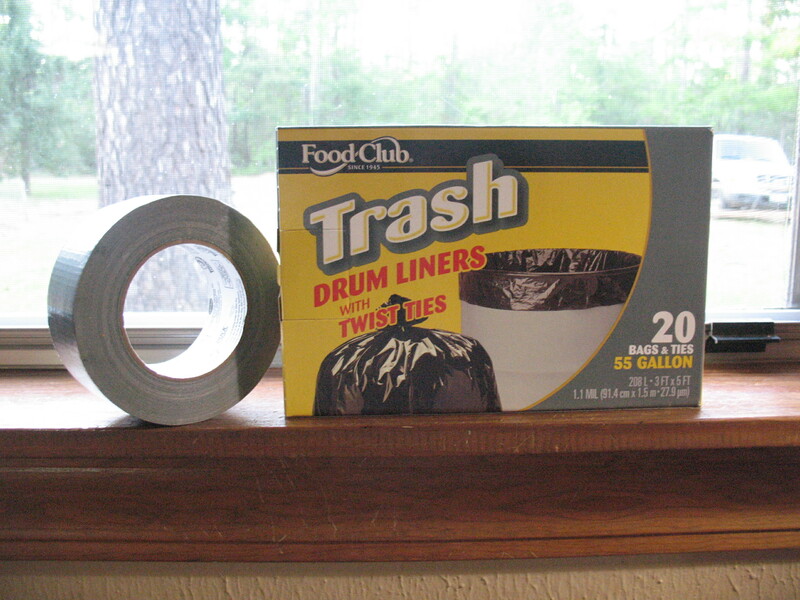 I bought a roll of the heavy duty, black plastic, garbage bags; and a roll of duck tape. By the way, U.S. Homeland Security suggests taping plastic over your windows to help defend your home against penetration by biological weapons like anthrax. I don’t know if plastic taped on the windows will stop anthrax, but it will definitely stop light, so lay in a supply of bags and duct tape and make sure that they don’t get used up when you rake the yard.